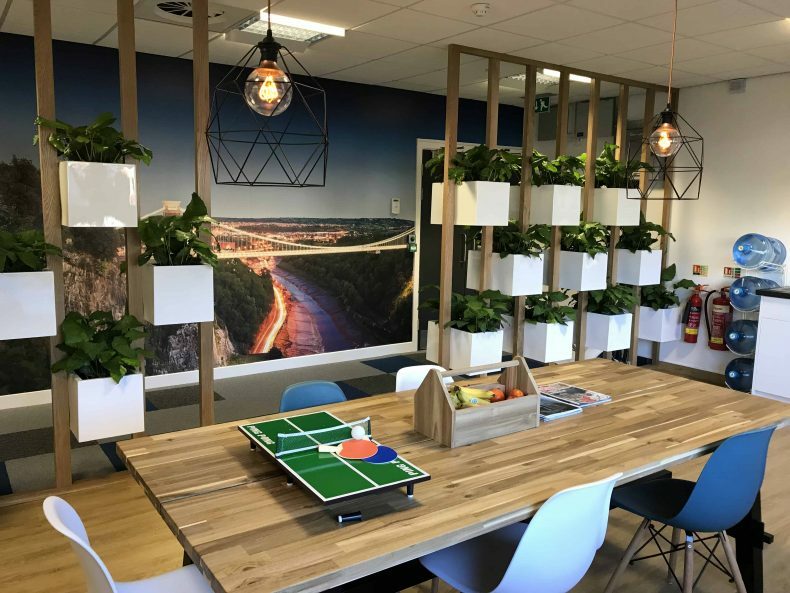 Pegasus Group contacted Avent Interiors in search of a cost-effective Office Refurbishment solution for their Bristol Design Office. 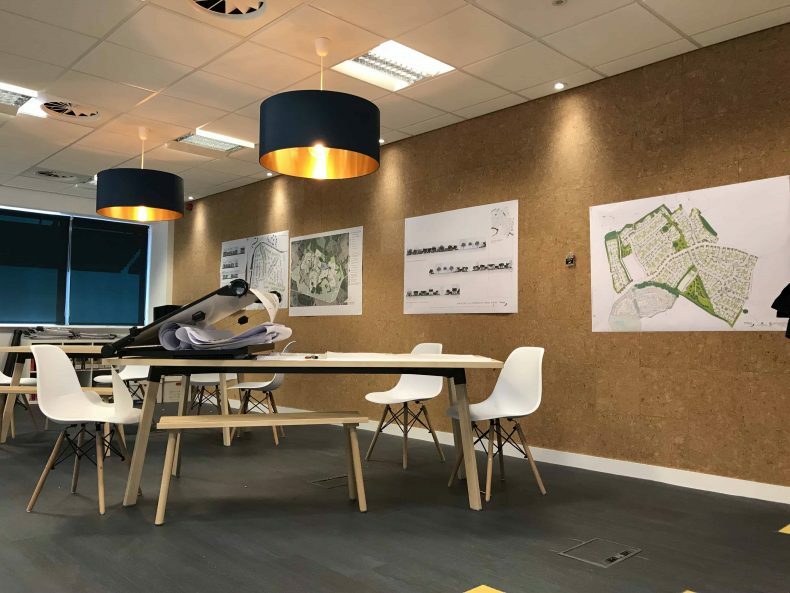 By gaining an understanding of what the Pegasus Group were trying to achieve we were able to provide appropriate services within budget expectations. Updated Office environment to reflect design department. 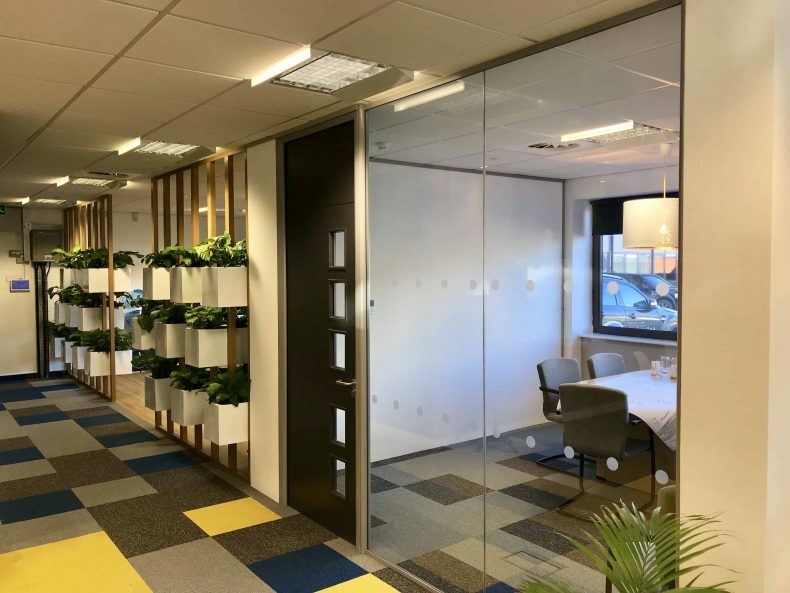 Re-use of existing Office Partitioning elements to create new Meeting Room. 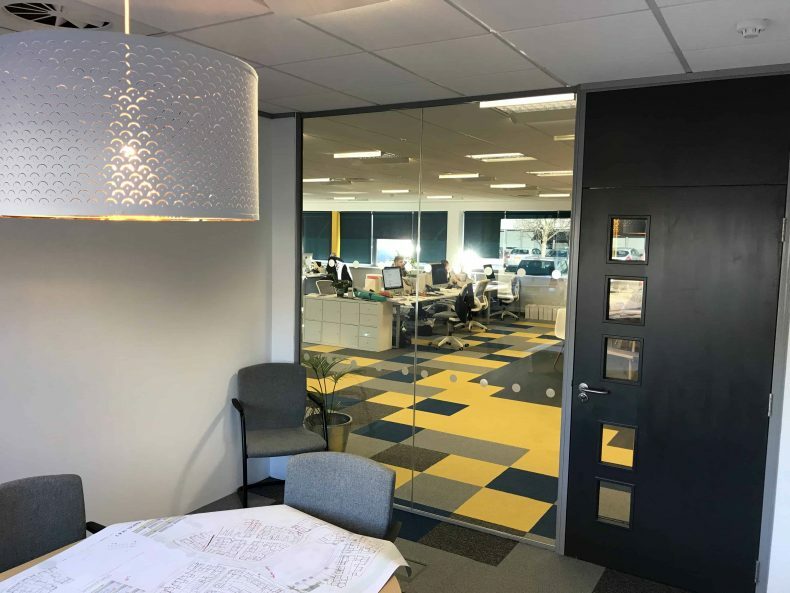 Flooring design combining carpet tiles and LVT flooring. This project was a complete success! 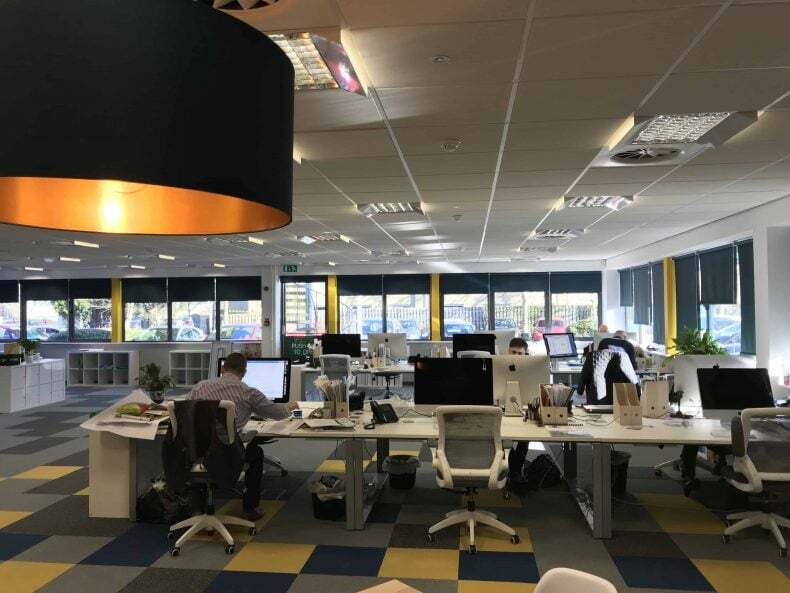 After just 3 weeks, the Office had been transformed from an unimaginative environment into a colorful and agile space that would allow Pegasus to grow. 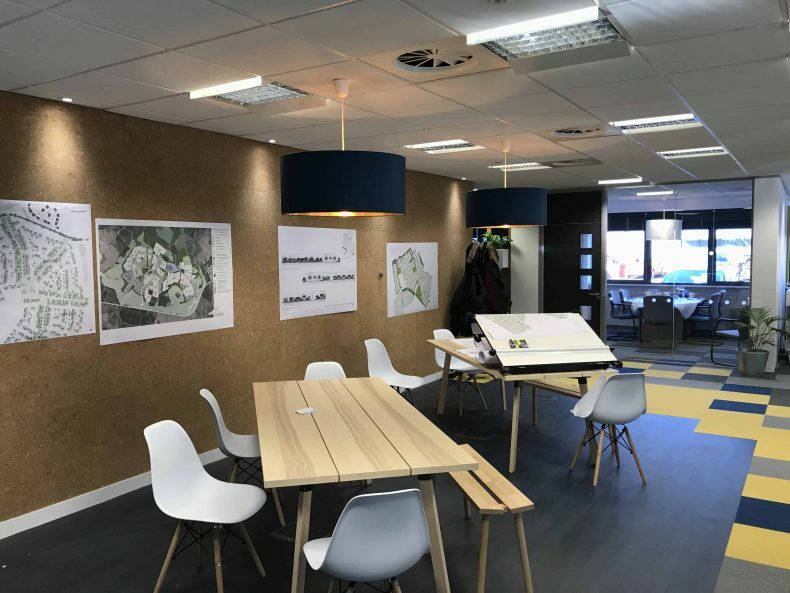 The all-new collaboration area would now allow the entire design team to meet and discuss their projects, improving productivity overall. 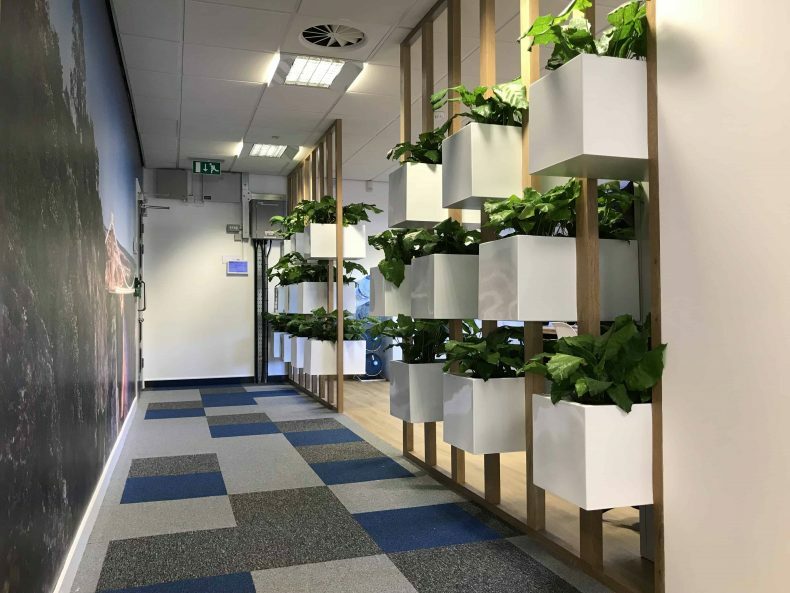 An emphasis of this project was also put on the breakout area which had now been revitalized making use of colour schemes and the fantastic Plant Wall feature. 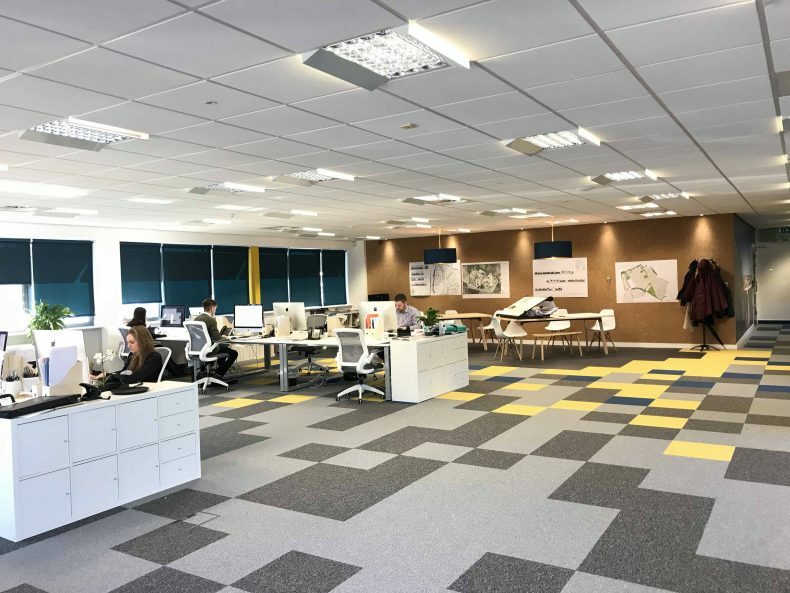 Avent Interiors completed this project within pre-set timescales provided by Pegasus, allowing for a smooth transition of new staff members. “We were delighted with the service received from Mark, Otto and the team. We came to them with both precise and vague ideas which required their patience and innovation – they successfully delivered both. The work was completed to a high standard and on time, despite an evolving brief from us. They have also taken a keen interest in the project post-completion to ensure it delivers the space we had envisaged (which it does!)“. 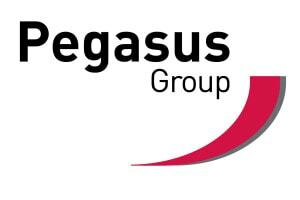 The Pegasus Group is a leading independent planning consultancy with eleven Offices in the UK. They work across all sectors and provide a wide range of services including; local & Strategic planning, Urban & Rural Planning, and Feasibility studies.